Benedictine Military School is a highly competitive school, students interested in attending should have an excellent academic record and good ethics. – Christian therapeutic schools and rehabs for teens. Benedictine Military School is located Savannah, Georgia. This all-male school is often called BC for short, it is a Catholic-based school as well. With an average student body of 335, this school educates grades 9th through 12th. This academy is a college preparatory school, offering general studies with honor classes and AP classes. Students also take JROTC and religion classes. Graduates have attended top universities such as Yale University, U.S. 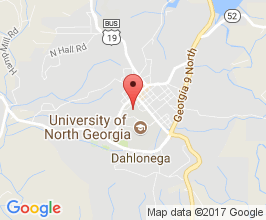 Naval Academy, West Point and the University of Georgia. Students take classes in English, Foreign Languages, History, Mathematics, Science, Religion and JROTC. The school also offers a variety of elective courses such as Journalism, Sports Medicine and Chorus. Most general studies classes are offered in honor and AP. JROTC is mandatory for all Freshmen and Sophomores. It is elective for Juniors and Seniors, about 90% of their upperclassmen continue the JROTC program. This military prep school’s JROTC program is a Honor Unit with Distinction, meaning it is one of the top JROTC programs in the nation. A high number of students from this school receive sport scholarships to top universities upon graduation. Sports offered are cross country, rifle, football, basketball, wrestling, baseball, golf, tennis, soccer, track & field, swimming, lacrosse, drill team and color guard. Extracurricular activities are offered to help further the student’s academic career and become involved in the community. Offered are chess club, chorus, photography, media, model united nations, mind benders, yearbook, sailing, band, student council and community service. Benedictine Military School is a highly competitive school, students interested in attending should have an excellent academic record and good ethics. Parents will need to fill out an application form and submit recommendations from the student’s Math and Language Art teachers. The student’s school must also send a current transcript. Incoming freshmen must take an admission test at the school, this test is offered twice during the winter. Tuition is an average of $19,000 a year (may change). Active Catholics with paperwork signed by their priest are given a discount. The school also offers discounts for active military and families with multiple siblings enrolled. Other fees include lunch which is $1,100 a year, uniforms and books are $800 a year. The school offers financial aid assistance for students who are in need. Scholarships are also available, including one for students who score high on the admission test. For those who cannot pay the full tuition up front, the school offers monthly payments with no interest. Should you need help finding boarding schools, affordable boarding schools, and homes for boys please let us know. Military schools offer structure, mentorship and a safe environment that limits distractions and temptations that can detract from academic and personal progress. Still, military schools are not always the right choice for every young person. While military schools offer structure, and academic and athletic discipline in a controlled environment, military schools are not intended to act as a rehabilitation program. Military schools want students who wish to prepare themselves for a future in a collegiate, military, or professional setting. Benedictine Military School is a highly competitive school, students interested in attending should have an excellent academic record and good ethics.